Where do I find security?Discovering the answer to that question is a universal quest. Mankind has addressed this basic human drive through many different avenues; yet, in spite of our best attempts, we are ultimately powerless to achieve real security. Many circumstances remain totally outside our control. Thankfully, there is another Source of security we can turn to that can provide both total and permanent security. What is this Source? It is God, in whom are found all wisdom and provision. 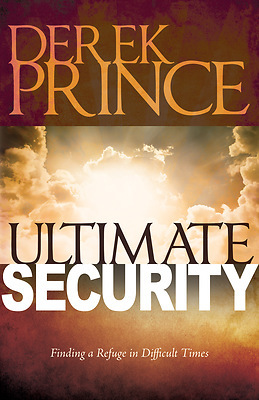 Legendary Bible teacher Derek Prince explores various ways in which God provides security, highlighting the conditions we must meet in order to qualify for His protection in each area of our lives. We must have a solid foundation that can endure the pressures and difficulties we inevitably face. That foundation is the Word of God and the wisdom it provides. God's wisdom reveals His eternal nature, contains His everlasting counsel, and shows us the way through the shifting sands of time to the eternal Rock upon which we can all build with absolute confidence.